Be the first to know when a new show airs! Plus, access to transcripts, show notes & exclusive deals! As we shared last time, even though living naturally is “en vogue,” you will still encounter stigma, judgment, and criticism along the way. 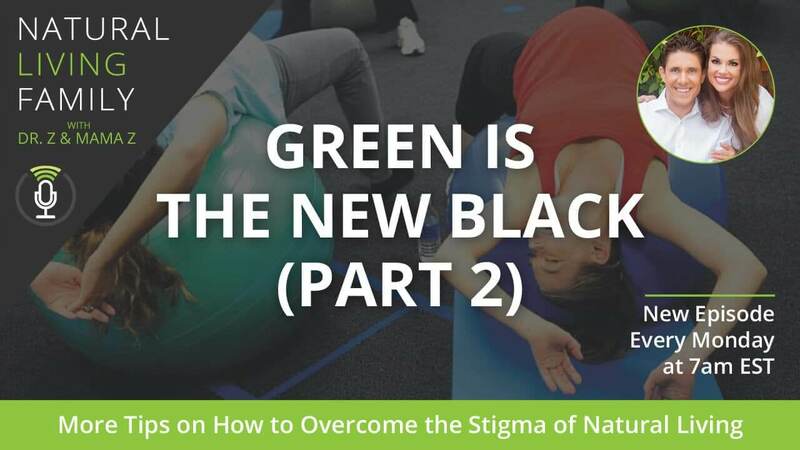 This week, we share more tips on how to overcome this in part 2 of our episode, Green Is The New Black. Learn to handle objections to difficult topics! First, we cover the flu shot and vaccines and how to handle avoiding them. We’ll also give you Dr. Z’s famous immune boosting shot recipe. We’ll dive into a topic that many people are uncomfortable with: home birth. We’ll share our home birthing story and let you know what you need to know to hire the right birthing team. Finally, we share how you can handle social eating situations, whether at the office or on holidays or for social functions. We’ll wrap with a tip on how to help your kids eat healthy around their social events as well. Join us to learn to tackle these uncomfortable situations with grace, patience, and kindness. You just might end up being someone’s go-to healthy living guru! Dr. Z: One of the hardest things that I dealt with as a young parent…And uncompromising, being uncompromising, you and I, Sabrina, that we weren’t going to bow down to the medical gods. We were convinced, and we still are, in our decision. And all I want to let you all know is whatever your decision is when it comes to the flu shot or vaccines, hold your head up high. I would encourage you to pray about it and really ask God to give you wisdom. Dr. Z: Hi there! Dr. Z here! Mama Z: And Mama Z! And welcome to episode four of our Natural Living Family Podcast! Dr. Z: Each week, we invite you into our home to talk about how you can master the art and science of natural living. And we shared the same tips our family every day to enjoy a more abundant life. And you’re going to love today’s talk. Mama Z: Absolutely. So come on in and get comfortable. After all, you’re one of the family, our natural living family! 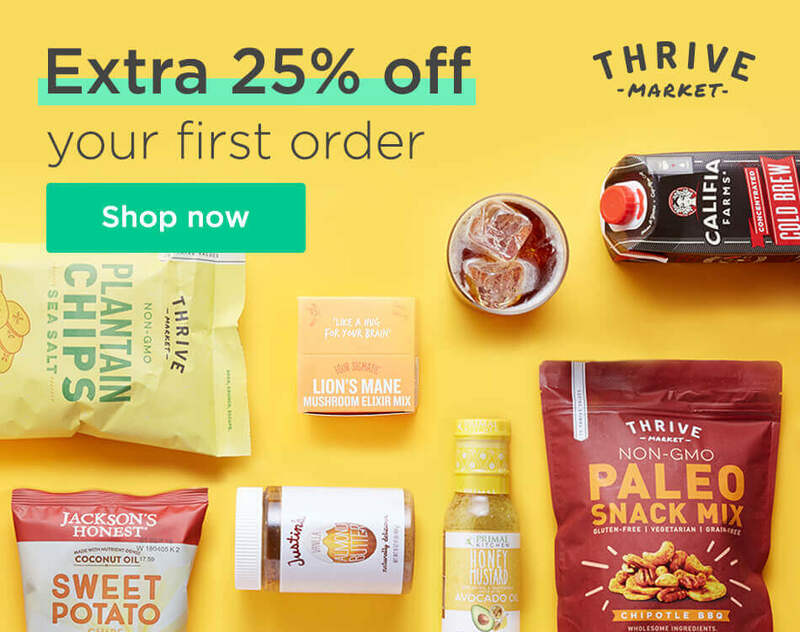 Mama Z: As a special gift to our Natural Living Family Podcast cast listeners, Thrived Market is giving you 25% off your first order. Dr. Z: Plus a free 30-day trial. Simply go to NaturalLivingFamilyPodcast.com to find the special link so you can redeem this deal on the show notes from today’s episode. [01:41-3:18] What’s in Our Diffuser Today? Mama Z: One of the things that people always ask us is what’s in our diffuser. Dr. Z: Yes, what’s in today? Mama Z: All right, so today is rosemary, litsea, and eucalyptus, our Power-Boosting Blend. Dr. Z: You’re missing one. Dr. Z: You didn’t take notes, did you? Mama Z: Litsea, rosemary, and eucalyptus. Mama Z: You put peppermint in there? Dr. Z: I did. I told you. Dr. Z: This is my power boosting. This is my energizing blend. I went to a spa. Actually when I wrote my first book Healing Power of Essential Oils, I escaped up to the Blue Ridge Mountains in Blue Ridge Georgia. And I found a nice little cabin. There was a spa nearby. And bless Mama Z’s heart. She gave me the thumbs up. And I had to disconnect because I had knocked out this book in a little while. But I would go two, three days at a time. And I found this spot. And this massage therapist used this awesome blend. It was litsea, rosemary, and peppermint. And I was like, wow, this is the most invigorating, mentally stimulating blend I’ve ever smelled. And I’ve added eucalyptus to it just because I love eucalyptus. But for those of you who are aromatherapy geeks, it’s eucalyptus globulus. And this is Moroccan rosemary. And I absolutely love this land. Chris, what do you think of his blend? Chris: Awesome, it smells great! Dr. Z: Chris is like our Ed McMahon back there. Poor guy. He’s overdosing on essential oils. We’re just filming show after show after show today. Mama Z: He’s going to be happy, cleansed, invigorated. It is awesome! Dr. Z: Love it! 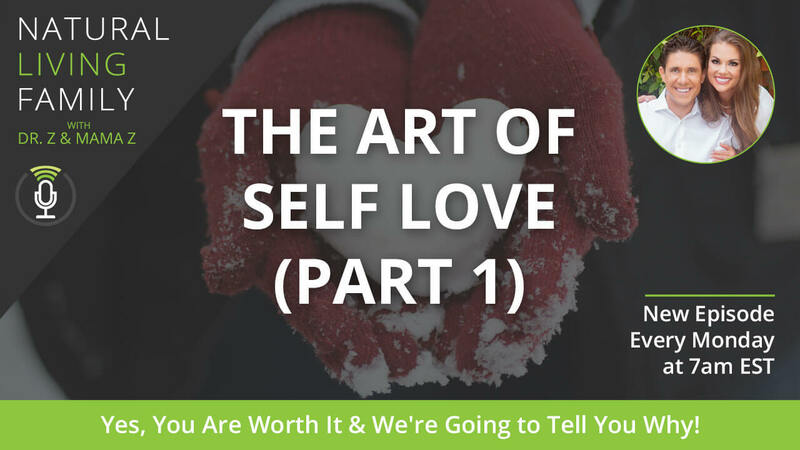 Folks, we’re so excited because this is episode four, part two of our overcoming the stigma of natural living. And like we discussed last week, if you didn’t listen to episode three, I actually would encourage you to press pause. Listen to episode three first. And then listen to this because what we’re trying to do is help you overcome the stigma of living a more natural lifestyle. And I guarantee this. I promise you that if it’s because you don’t want to get shot, because you want to give homebirth, you want to nurse in public, because you want to eat gluten-free, whatever it is, you will encounter stigma, judgment, criticism along the way. I hope not a lot. But whether it’s a sly look from a coworker or a restaurant server who treats you like you’ve got the plague because you asked for the allergy-free menu everything is, you have to learn how to overcome these things. And we’ve been doing this now for 15 years. We are going to show you the way because living naturally is “in vogue” now. Green really is the new black. But you still might feel some pressure, especially from friends and family, to return to what I call—and I’m feeling air quotes here—go back to the dark side, the unhealthy way. So last week, we talked about nursing in public. And there was a funny story about that, using the crazy green people card to your advantage. We talked about our infamous lice story. And Mama Z shares her lice protocol. And that was really about all we had a chance to cover. So this week we’re going to cover the flu shot, vaccines, school lunches and parties where all the kids get fed junk food and cupcakes and sugary treats. If we have time, I hope to talk about stigmas at work that you will encounter, may encounter, and home birth, a whole story about that. And if we have time, I want to give you my very famous and boosting flu shot recipe that I use treat pneumonia when antibiotics to work. Ready? Dr. Z: We got this? Mama Z: We got this. Dr. Z: This is going to be a good one. Dr. Z: I sometimes think about how we’ve had to go through so much. And when we go through these things, it’s like, “I can’t believe this happened.” Yet, when you’re going through it, it seems like the worst thing possible. And then look back in here like, A, that wasn’t that bad. But how cool is it that together, really as a couple, we were able to group together and find solutions to these things? And now we can share those solutions with the world. Mama Z: Absolutely. And if you don’t agree with every one of our topics, just remember that you will get little bits of nuggets of pieces of info that you can apply to your own life. We have found that avoiding the flu shot is the number one biggest concern that our Natural Living Family has year after year after year. And, in fact, every year, with our Inner Circle group, we do a live Q and A. And it’s always about staying healthy during the flu shot season. And it’s always without fail, people ask, especially in the medical community, “I’m being forced to take the flu shot. My employer says I can’t go to work unless I get the shot.” Kids aren’t able to go to school unless they get the flu shot. So what we want to do is help you overcome that stigma. And there are ways around it for most people. Now I know some states mandate shots for school, or you have to homeschool (California). Some employers mandate it. But there is a solution. And first I want to let you all know that there are probably, undoubtedly, ingredients in the flu shot that you are allergic to. And I want you to ask to have the ingredient list from whoever it is, your doctor, your pharmacist. And you might find ingredients still, like mercury. You might find egg yolks. You might find some sort of embryonic tissue. I looked at the flu shot ingredients at our local Kroger a couple of years ago: titron x-100, which is an industrial cleaner, a surfactant. Just think about that, industrial cleaner, surfactant in the flu shot. You’re allergic to that. Formaldehyde, still in the flu shot. So a good way to start approach is to do what I did when I was in chiropractic school. I got out of what we called the gross wet lab anatomy class so I didn’t have to work on cadavers, which were just be the and soaked in formaldehyde. Mama Z: And I was pregnant. And I’m very, very allergic to formaldehyde. And so that was one good in as far as that goes. So first of all, see if you can get a medical waiver that says you are allergic to one or multiple ingredients of the flu shot for you and your kids. Mama Z: Because chances are you are. If you have any sensitivities or allergies, or if you are just a normal regular person, there is going to be something in there that you’re not able to tolerate. 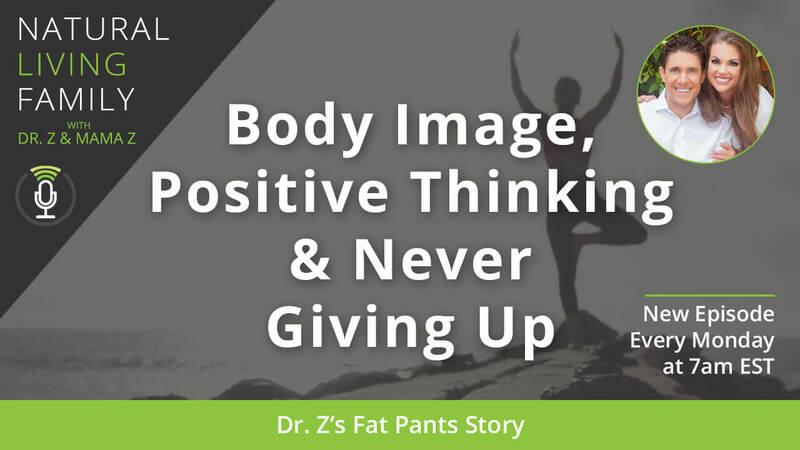 Dr. Z: So, again, overcoming the stigma of natural living, not allowing yourself to feel shunned or burdened, realizing that you are not a carrier. And that’s something that, in the context of vaccines as a whole, I just want you to know that we can relate because we’ve never vaccinated our children. And at one point in our lives, certain friends and family members wouldn’t it literally spend a function with us, whether it was a holiday or whether it was a dinner. They would not be our children or let our children be with their children because our kids weren’t vaccinated. And their kids, they felt, were susceptible to get sick. Mama Z: But what I thought about it, I was thinking, Wow. These other people all have live viruses in them. I think my kids actually would be more susceptible. But we work on building their immune system and things like that. So maybe not. Dr. Z: Can you imagine that? That was one of the hardest things that I dealt with as a young parent. And uncompromising, being uncompromising, you and I, Sabrina, that we weren’t going to bow down to the medical gods. We were convinced—and we still are—in our decision. And all I want to let you all know is whatever your decision is when it comes to the flu shot or vaccines, hold your head up high. I would encourage you to pray about it. Really ask God to give you the wisdom. And this is where the more that we have these discussions during these shows, the more spiritual insights we want to share with you because, quite frankly, a lot of this in my opinion has to be divinely inspired. Like my mentor, Enoch, 40 years ago God told him, “Don’t use microwaves.” In his spirit, he felt uncomfortable. Everyone and their mother is buying microwaves. And now we found out microwaves literally cause disease, and microwaves are one of the most unhealthy ways of heating up and cooking food. And God warned Enoch in this season where everyone…Just imagine 60 years ago, everyone smoking. How do you think Jack LaLanne felt, the icon? He’s the only one not smoking back in the day. He’s exercising. And doctors are smoking. Can you believe that? He overcame the stigma, living naturally, in a culture that embraced smoking and lethargy and unhealthy foods. And he was encouraging people. But all I want to tell you is first of all, you’re not flu shot deficient. Second of all, your kid is in a carrier of a disease. And if you choose not to give your kids the MMR vaccine, your kid is not a carrier of the measles. And I would challenge you to realize that you are not putting anyone at risk because if vaccines truly work, and they’re protected. If they really work, they’re protected. You don’t need to worry about that stuff. But here’s the key. Not to go into a whole topic on vaccines, which, by the way, though, if you want us to talk more about the vaccines, let us know. Email us. Subscribe to this podcast. Go to NaturalLivingFamilyPodcast.com. and join our newsletter. And tell us. Say, “Hey, we really want you to talk more about this.” Because if so, then in a future episode, we’ll cover this in greater detail. But I want to end on this whole flu shot vaccine piece. Just to let you know there are options. There are exemptions: religious exemptions in Georgia, philosophical exemptions. Our kids are forced to do anything, praise God. But we want you to know that you can find a doctor that supports you. And like Sabrina mentioned, you really can fire your doctor. You can choose your healthcare provider. And I hope we talk a little bit about that regarding the homebirth. But just to know that you should—and I would suggest you need—to find healthcare support that honors and supports your lifestyle. Any quick tips, babe? Because you’re the one who really did that because there are a handful of doctors in the whole Atlanta area that really are pro-choice for vaccines. I call it pro-choice for vaccines! Mama Z: I like to call them…They are very respectful over our wishes. They see the regular, average Joe that doesn’t have our beliefs. And it’s really important to find a good professional that you can identify with. And one of the things that people always ask me is, “Well, where do you find those people?” And one of the places that I did was my home birth mothers group was one place, and the La Leche League because as you are more naturally minded and other people have been within the area and they know the people that are out there. And that’s actually how I found my backup care, as well, which is my nurse midwife’s office. And we’ve had a relationship with them for 10 years. So you really connect with your local natural living family in that way. And that’s how it opens the door. So it’s really important to definitely connect to your local market and who is respectful in your area. And you can go online to see the type of exemptions that are allowed in your state. I know in Michigan, there’s three ways that you can be exempt: religious, philosophical, medical. Mama Z: So different states are different. And you can find that out online. If you can print out the waiver, as well, for schools or four other institutions like day care and other places that you may bring your little babies. Dr. Z: So one thing…And I guess I left a cliffhanger. I didn’t tie the bow on the story about one of our family members, actually multiple, that didn’t want their kids to be around our kids because our kids weren’t vaccinated at the point they were at. I will let you know how to handle that. I felt Sabrina really handled that well. And one thing Sabrina didn’t do what she didn’t get upset. She didn’t debate. She didn’t argue. And she didn’t throw essentially a hissy fit. And that can be what happens. And she didn’t go on social media, which, by the way, let’s keep a lot of this stuff off of Facebook. People see stuff. And I see Facebook rants and the ugly really quick. But one thing you did to do, was you said, “Okay.” And you respected it. And you prayed. And we prayed. And we prayed that so-and-so would have a change of heart because we know that our baby is as a carrier of infectious disease. And you know what? One person in particular, they changed their mind. And we had a dinner meeting all scheduled and set that our baby was uninvited, and then our unvaccinated baby was invited back in. And you know what? No one got sick. Everyone was happy. So how to overcome the stigma of natural living is you’ve got to love people. Be patient with people. We need to realize—and this is so important—we didn’t even realize that the enemy of our souls, the devil, known as the god of this world, he is actively at work spreading misinformation, lies, deceit, accusation. And people are being led by fear. And as a whole, a lot—not all—but a lot of the medical interventions that are out there, namely the flu shot and others, they are fear driven. And they’re not evidenced-based. They really aren’t, folks. There’s no conclusive evidence at all that the flu shot can help you. In fact, the opposite is true. And so what I’ve come to realize is I have a heart of compassion for a lot of folks because I feel very blessed. And you listening right now, we are preaching to the choir. You get it. At least you’re interested enough to listen at least 20 something minutes at this point of hanging out with us. You’re like, “What are these people saying?” I’m a doctor. I’m a researcher. Sabrina has been living this way forever. And we just want to encourage you to stay true to yourself, but to be patient. And especially for those of you who are believers in Christ, to recognize that what we do, what you do, living naturally is very similar to sharing the gospel. You just don’t go up to someone and say, “You sinner! You’re going to go to hell unless you accept Jesus as you savior” and beat them over the head with a Bible. That’s not how you evangelize. You love. You share. And you are ready in season and out of season, Paul says. And when it comes to health, we essentially are healthy evangelists. We lead by example. We are researched. We are evidence-based. We’re firm in our convictions. And people see how we live. And invariably, the very same people that have judged us over the years are always coming back to us asking us for help because they see the light. And I’ll end with this. It really is not against flesh and blood, like the Bible says. It is a battle. It’s a battle of information. And the battle is against the powers and principalities and rulers in the dark spaces, the enemy, the devil. It really is a spiritual battle. And so let’s pray that God enlightens people, educates people. And us, too, including all of us, that we continue to grow in wisdom and knowledge. So with that said, I promised you my flu shot, my immune boosting shot. I will give it to you in just a second here. And actually, you know what? That’s the Dr. Z tip. I’m getting ahead of myself. Stay to the end. Stay to the end of the episode. I’m going to share with you my immune boosting shot, which is what we use to help prevent the flu, treat the flu. And also for those of you who, if you have to, God forbid, are forced to take the flu shot, you want to use this before, during, and after to boost your immune system because that’s one thing people always ask. “Well, what do I do? I’m forced.” There’s ways you can heal your body. And that’s another topic for another day. Anything else you want to share about vaccines? Mama Z: No, that’s it for right now. Dr. Z: All right, awesome. So what do you want to talk about next? Work or home birth? Dr. Z: Okay, cool. But before we do, here’s a quick message about our sponsor. [Doorbell chimes] There is nothing like hearing the doorbell of the delivery person letting me know that a Thrive Market package has landed on our doorstep. It’s like Christmas time every time we get a package. Mama Z: Yes, from ingredients to snacks, it’s so awesome. And the kids go nuts. 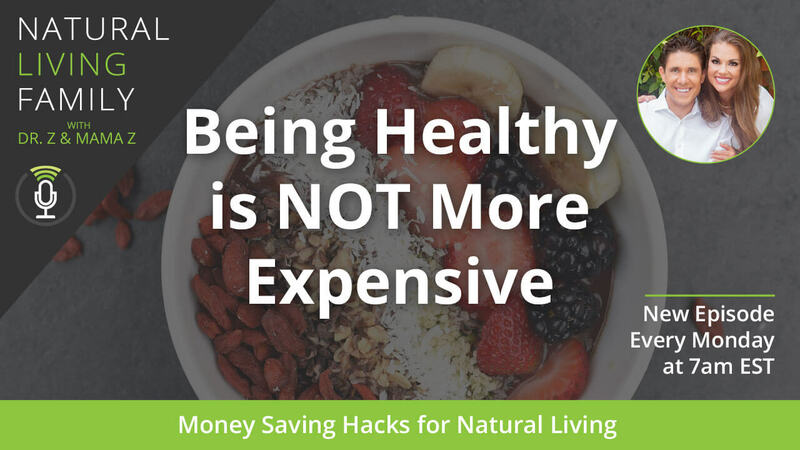 Dr. Z: We love Thrive Market, the convenience, the price, and just the movement because we know that every dollar spent goes towards a more sustainable, healthy, natural world. So if you haven’t joined, what are you waiting for? You’re going to absolutely love it! Dr. Z: All right, home birth. This is a story. Mama Z: This is a story. And we will cover it in great depth about why I switched from having a traditional birth to an at-home water birth for all four of my children successfully later. And we’ll talk all about that and the progression of that. So my very first baby, I was in the very medical minded area when we lived where we did before. And I really thought that I was going to have a traditional hospital birth. So I found the best OB by many people and started going there. And then as things went on, I realized that my views didn’t always line up with where it was going. So one thing that the midwife that we chose, which I’ll go into that, as well, later. But one thing I found was she said, “In the state of Michigan, it would be better not to say anything to them” because I wanted to tell them. And she said, “Just trust me. I deliver most of the Amish community and other types of people that come to me. It’s just better.” So I trusted her lead with that. We didn’t. So fast-forward. Our story ended up getting covered in the paper. And we’ll share that. Dr. Z: But that’s important. So for those of you who are streaming on YouTube or Facebook right now, we are going to put up a picture of the clips. But for those of you who are listening to this podcast, go to NaturalLivingFamilyPodcast.com. Check out this episode. 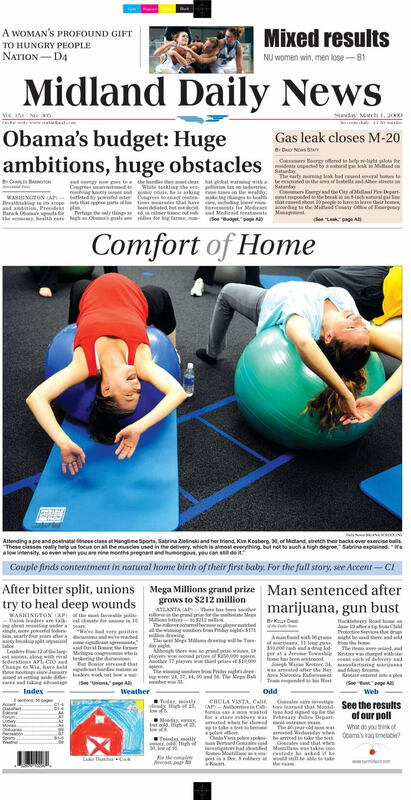 And we’ll have pictures because this made front-page news. 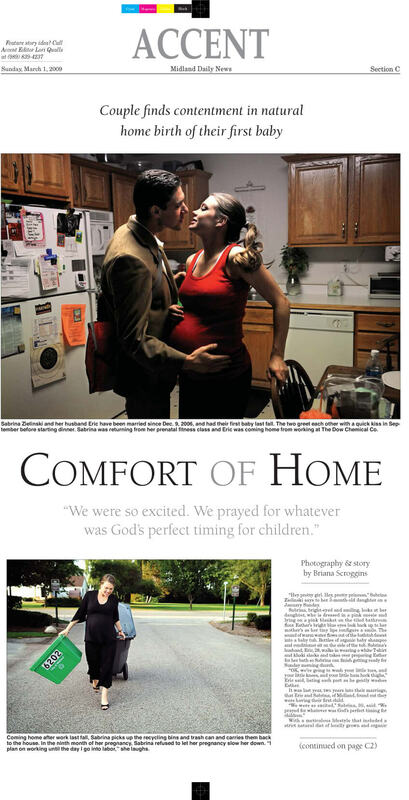 Homebirth made front-page news of Midland, Michigan back in 2008. Mama Z: Yes. So I didn’t decide whether I was going to do a home birth until I was seven, eight months pregnant. But I was sure. When I decide something, it’s how it is. The paper was doing an article on my mom. And it’s so funny. The lady who was doing it, I had just officially decided. So my mom was like questioning me in between this lady interviewing her. And a couple days later I saw this girl downtown when I was going for lunch and she hunted me down and was like, “Hey, I just wanted to talk to you. I was eavesdropping and I heard that you were considering a home birth?” And I said, “Well, yeah!” And she said, “Well, I want to follow your story!” And so she literally took pictures and followed me from that point all the way through delivery. So, in fact, my first call wasn’t to tell my husband I was in labor. It was to call the lady from the paper who came over because I wasn’t sure I was in labor or not. And I was. And so she got a good picture. But it was all covered. So I was a little bit overdue. And my OB’s office obviously needed me to come in. So everything was fine. And then when I did go into labor, that was the day I was supposed to go for a doctor’s appointment. And so Eric called and said, “She’s not feeling very well. So she’s not going to come in.” And, yeah, I wasn’t feeling very well. Dr. Z: And they were very respectful. They were very concerned about her. They were calling, “Hey, you missed your appointment.” And they were calling every couple of hours. You missed your appointment. They did nothing wrong. Dr. Z: I called them back. Dr. Z: Well, you did great! It was awesome! Mama Z: And he really did say that. So they didn’t kick me out at first. Dr. Z: The newspaper piece. Mama Z: The newspaper piece. The newspaper piece, when it came out, it was in spring. Mama Z: Yes. And we have this on the wall down here. It’s right where we are sitting. Dr. Z: And we’ll have pictures up on the website. Mama Z: Yes, we sure will. Dr. Z: It’s pretty cool. Mama Z: So they didn’t kick us out, per se, until that hit the press. Maybe they just didn’t want to be associated with us or whatever. But I remember seeing the other OB that I had seen and one of the nurses just around town. And they avoided me like the plague. Dr. Z: It was a very good article. Nothing was critical. It was literally like, “Their decision led them to home birth.” And it was nothing defamatory against medicine at all. It was a very good article. Mama Z: And so then they wrote back a rebuttal of the article. Dr. Z: Well, who, though? Remember? Mama Z: Yes, the whole OB community. Mama Z: And the doulas. Dr. Z: And we got stuck in the middle. And Sabrina gets the Dear John letter. Mama Z: So when it happened, our piece was published of course on the front page and then two pages in the accent section. And when the rebuttal got printed, it was printed on the second to the last page during spring break. So I don’t know how many people saw that. But then my doula did submit a response back, as well. But there is a little bit of stigma there. And so it wasn’t until I came to Georgia that I realized that it could be a harmonious relationship between midwife and provider. And so I was so blessed because through my home birth group, we ended up having to fire our first home midwife. And we’ve been with our home midwife now for the last decade. And we are very close to her. And so it was through my nurse midwife’s office that I actually found her name because they wanted to know what was important to me. It was important that I had a Christian midwife. It was important on a variety of different levels of what I wanted. And my nurse midwife called me at home and said, “I only have one name for you. And this is her.” And we’ve been backing her up for many years. Dr. Z: Wait, wait, wait. Hold on a second. You can’t wait to see her again? Does it have to be under the premise of being pregnant? Can you go out to lunch with her? Mama Z: No! Just to have an annual checkup. Dr. Z: When is that annual checkup scheduled? Because I want to make sure we’re not…Okay, this is a whole other topic here. How many Baby Z’s are we going to have? Mama Z: Well, we don’t know. You have to ask a God that question. And He may or may not answer. Dr. Z: God gives us a choice, too, though. There’s an element here. Mama Z: We’ve always pray for God’s perfect will when it comes to the number of children and when they have come. Dr. Z: Okay. I just want to make sure. The way that you worded that, it’s like I don’t know when you’re just going to hang out with your nurse midwife. Mama Z: No, in fact, I actually do have to have a follow-up appointment. Dr. Z: Bella is 2 ½ years old. Have you been hanging out with her nurse midwife? Ask her out to dinner or lunch or something. Anyway. Lord, help me! Ladies, if you’re interested in homebirth, if you are looking for more of a naturally minded OB, gynecologist, nurse midwife, whatever it might be, there are options out there. Dr. Z: And just so you know, for us, Sabrina has given birth at home four times with a midwife in attendance, with the doula, and me. And we also had the nurse midwife, registered nurse who had hospital privileges with a practicing OB practicing above and managing the whole scenario in case we needed to be transported to the hospital. And that’s where we had the ultrasound, and that’s where all the other stuff was done. So there was protection. So we want to let you all know that our approach was, I felt, a very integrative, holistic approach, which integrative meaning a nice balance of medicine and natural. And I will say a shameless plug for Samaritan Ministries. By the way, if any of you are paying for health insurance and you don’t want to anymore because it’s costing too much money, Samaritan Ministries is a great alternative to that. We haven’t had health insurance in I don’t know how many years—like a decade now—as a family. And Samaritan Ministries is a shared healthcare system that has paid for everything: our midwifery services, chiropractic services. All the supplements and essential oils that our midwife recommended, all that was covered by Samaritan, which, by the way, none of that would have been covered by conventional insurance. None of it. Mama Z: And the best part is that when you fill out your end-of-the-year taxes, you can use Samaritan Ministries for your insurance on there. So you don’t have to pay any penalties. Dr. Z: So you can totally find someone to support you. Again, how do you overcome the stigma of natural living? Surround yourself with people that love and support you. Surround yourself with family members and friends who get you. And maybe they don’t live the exact a way that you do, but they’re respectful of that. Medical providers that aren’t going to make you feel like a horrible parent because you don’t want to be in that situation. You don’t want to be in that situation where you’re going to argue or feel shamed by your doctor because you’re not doing something. And I’m telling you the more functional medicine gets out there, the more integrative medicine becomes more mainstream, the more doctors are loosening up and opening up. And I want to encourage you all to do what’s right for you and your family. Dr. Z: Yes. And again contact your local La Leche group, your local homeschool group, your local home first group, your local chiropractor, these people. And by chiropractor, specifically ICPA, International Chiropractic Pediatric Association, these are very—I will call them granola; love it—these are very naturally-minded chiropractors that are really rooted. Their job is to be rooted in community. They have a network, a global network. I love the ICPA, Dr. Jeanne Ohm and the whole group. They are fantastic people. They’re really hooked up with the local midwives and just, again, empowering women to make the choice that they want to make. And that’s because you can have the birth of that you want. And I know we talked about this. We want to know, too, if this is interesting to you, if you want us to uncover more about birth and uncover options and homebirth and all that, then let us know. You’ve got to subscribe to this podcast. You’ve got to get on our newsletter, NaturalLivingFamilyPodcast.com. stay connected with us. Let us know because we right now, we have an agenda for a few episodes. But we are keeping it open. A, we want to be led by the Lord. And we want to be led by you, what you all want. So if you want that, I can totally see us doing a whole episode on that. But I think that’s good enough about home birth. That’s pretty empowering. And I am so blessed that now you have a support group. And I’m so blessed that we were able to overcome that stigma as a couple. And one thing we also overcame the stigma with has been work related, when we used to work at a typical corporate job setting. Lunches, work functions, after hours type of business, Chamber of Commerce events. Mama Z: And the thing about it is that there is a little bit of stigma because people see how you eat. Once people know you, they don’t want you to get stuck feeling like you can’t have anything. But what you don’t want to have happen is you don’t want to have people just not invite you to things anymore because they know you’re going to say no. So there were many times that I went places with my own little lunchbox because I remember especially church functions and stuff like that, so much of church and after church is based around food. And I just remember it was so horrible just going to a restaurant and drinking water that I needed to change the culture. And so many times, I would make lunch for a variety of my friends in my young professional single days and have people over at my house because then it was a different atmosphere. It was more fellowship. And we knew we were going to have good food. And you can really change that stigma. Dr. Z: It was a winner. Mama Z: Everybody would like it. Dr. Z: And those are the approved dishes in The Essential Oils Diet Book. Mama Z: Absolutely! And if he asked for seconds, we knew it was 5 star! Dr. Z: Papa Frawley approved! Mama Z: Yes, especially the desserts because he is quite a dessert guy. Mama Z: Exactly. So it’s really important to make sure that you create that culture because if you feel like you’re bothering somebody and you go in with mindset, that’s kind of how you’re approach it. These days, there’s so many people with allergies, so many people with food sensitivities that it’s so important to remember that people are way more accustomed to that. And you aren’t a burden. 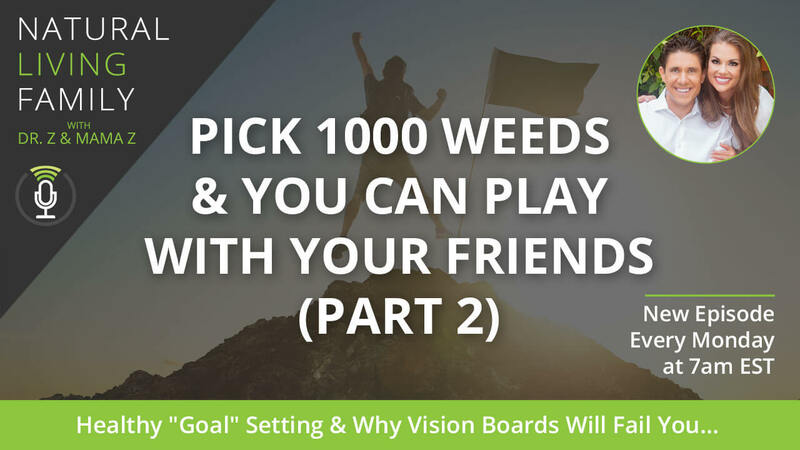 So just setting up your culture the way that you need to in order to have your needs met, as well as the people around you. Dr. Z: And who wouldn’t rather not pay for lunch or dinner and go to someone’s home? I remember when you used to make a big vat of chili, some organic non-GMO corn muffins, and you just had your girlfriends over. And it was just like how cool was that? So creating that environment. So what if you don’t want to do that? I get that. It could be a little bit of work. What about taking the lead? And how about you invite people to a special restaurant that you know that you can eat at? Mama Z: Yeah, we had our baby shower. When I was pregnant, they were like, “Okay, what restaurant do we know that you can actually eat at that will fit all of us there?” So we had our baby shower at Ruby Tuesday’s so I could have the salad bar. Dr. Z: That’s a safe one because we know—as far as we know—we were told by the manager, they don’t spray their salad bar with preservatives, because most do, by the way. And you can get a baked potato if you want. Or there’s some good fish options. But anyone can eat anything there. So imagine, again, setting the stage and taking the lead. That way you don’t have to feel like you missed out. So when all your workmates are going out to BW3s to get Buffalo Wild Wings and beer and stuff, you don’t want to go there. Say, “Hey, what do you guys think about going here?” And that way they know that you are a team player. They know that you’re not being antisocial. Mama Z: And most of our friends know we can figure it out wherever we go. Dr. Z: There are solutions everywhere. Mama Z: They always ask us, “Is there anything you can have at this place or that place?” And we can always work it out because we are so accustomed to doing that. We know what we can have vegetarian, sushi options at certain places. 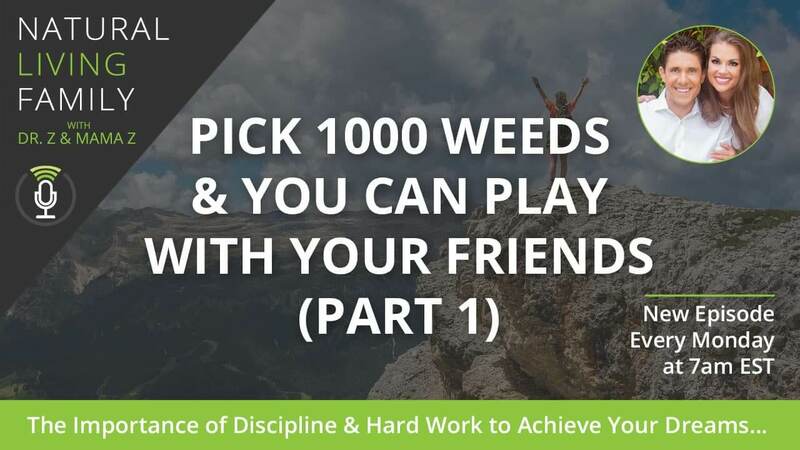 We know just how to do it and how to word whatever it is that we need some that when we go somewhere that we both have issues and that we can hang out with our friends. Dr. Z: Yep, and don’t forget about using the food allergy label like we talked about last episode. 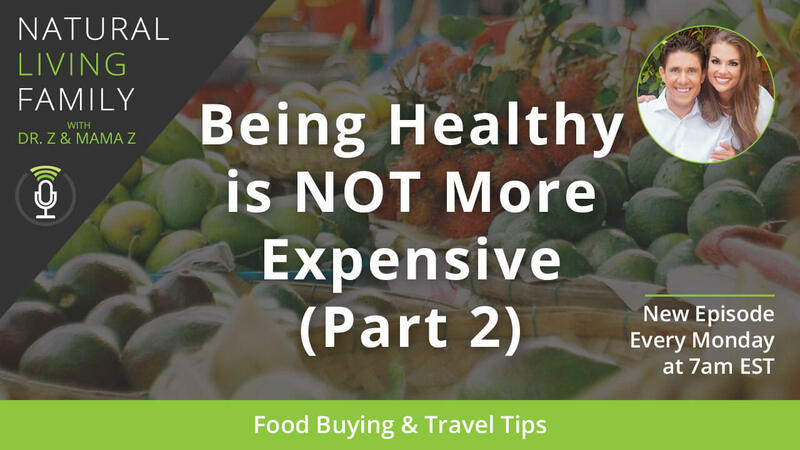 You go to any restaurant and say, “Hey, I have a lot of food allergies and sensitivities. Do you have a food allergy menu?” Asked them that. Or you can always get modifications. You can actually ask the server, “Hey, can I talk to this chef if I have some food allergies?” They’ll take you seriously. The last thing they want is for someone to have an anaphylactic attack on the dinner table. So it’s really easy for them to steam vegetables. It’s really easy for them to grill salmon. It’s not hard for a restaurant to give you regular salad without a bunch of junk dressing. And we shared last episode Mama Z’s go bag where she brings her own little olive oil and Bragg’s apple cider vinegar. You just prepare yourself. And enjoy life. Mama Z: And when you are going to a restaurant, one thing that I do recommend, because we are overcoming stigma and you don’t want to put a red light on yourself—“I’m the special one!”—you try to go as low key as you possibly can. But what I try to do is if I’m going to a restaurant I have not gone to before, I call ahead and/or look at the menu online and try to preplan what it is I’m going to have. And then I’ll call if I have any questions. That way, I don’t have to take any extra time of the servers when they’re actually at the table. And then I’ll mention, “Oh, yeah. I called. I do have food allergies. This is what they said that I could have.” And it goes so smooth. And nobody else almost notices. Dr. Z: I love it. I love it. On the original agenda we had, we were going to talk about school and snacks and lunches and holiday survival tips and vacation tips. I think these warrant larger discussions. And at this point, I want to call this a wrap. I don’t think we need a part three. A lot of these same things, when you’re traveling, literally Disney has a protocol. You let them know if you have allergies. They’ll treat you like a queen and a king. Don’t worry about it. Mama Z: Trying to stand out. You’re doing this for your health. Dr. Z: You are not bragging about it. Just be confident in your decisions to live a certain way. And everywhere you go, you are going to gain admiration of people. And people will come to you, like my brother’s mother-in-law, my sister-in-law’s mom, who came up to you during Christmas and said, “Thank you so much for bringing those gluten-free cookies. I went gluten-free.” And remember what she said to you? What did she say to you? Mama Z: She said she was actually not looking forward to the holiday because she was going to have to miss out on so many things because she had to be, I think it was gluten and dairy free. Dr. Z: She was brand new, and she’s 60+ years old. She is like, “I don’t know what to eat.” She was dreading the holidays. Mama Z: So it just so happened that I had her favorite Christmas cookies in the trunk. Dr. Z: Pizzellis, our favorite Italian dish. Dr. Z: I’m a little territorial of my pizzellis because I’m Sicilian. That was one of the things I remember mourning over. I almost had like a funeral when I first got converted to this natural health way. Mama Z: That, or Belgian waffle cookies. Dr. Z: Yes, Sabrina has nailed this down. So I love this. And as promised, here is my Dr. Z tip of the show and my immune-boosting shot. So here’s the cool thing. To prevent the flu, treat the flu, to boost up your immune system if you had the flu shot, all you do is you get one packet of lipospheric vitamin C. You can get that on Amazon. You get 2 to 3 drops of an immunity blend of an essential oil. You get a quarter of a teaspoon of pumpkin pie spice or cinnamon. You can get a teaspoon of raw manuka honey, a teaspoon of coconut oil, and a dash of Himalayan pink salt. You mix them up. You have that 2 to 3 times a day, at next two weeks to have that recipe. And our immunity blend is very simply equal parts of cinnamon, clove, rosemary, eucalyptus, lemon, and orange. Dr. Z: And to wrap up today’s show, we have a special natural living tip for you. Mama Z: Here’s a note about stocking up on healthy treats for you and the kids so you aren’t tempted at social functions in school birthday parties. First, write down a list of your favorite mom- and kid-approved snacks. Second, whether they are snack bags of Skinny Pop or Squeezy Fruits, always have them on hand. And make sure your children’s teachers know of their food allergies and sensitivities so they can have these at school, as well. For example, each of our kids has a special Ziploc with their name on it at school filled with their special snacks for any special events so they are never left out. Also, you can do the same at work. Keep age were designated for your favorite shelf-stable snacks on hand in case you get a hankering for a treat. This way, do want to be tempted to get something unhealthy at a vending machine or café. And, as many of you have guessed it you can find all of these products at Thrive Market. Mama Z: Keep in mind, Thrive Market’s prices are already 25% to 50% off. And now they’re giving you an extra 25% off your first order, plus a free 30-day trial. Dr. Z: Now, many of you will be making a grocery run this week. So why not give Thrive Market a try and shop from your home? Dr. Z: Wow! That was awesome. Mama Z: Yes, it was. Dr. Z: I like that one. And, folks, thank you for listening. Join us next time when we discuss all about living in moderation, but the right way! 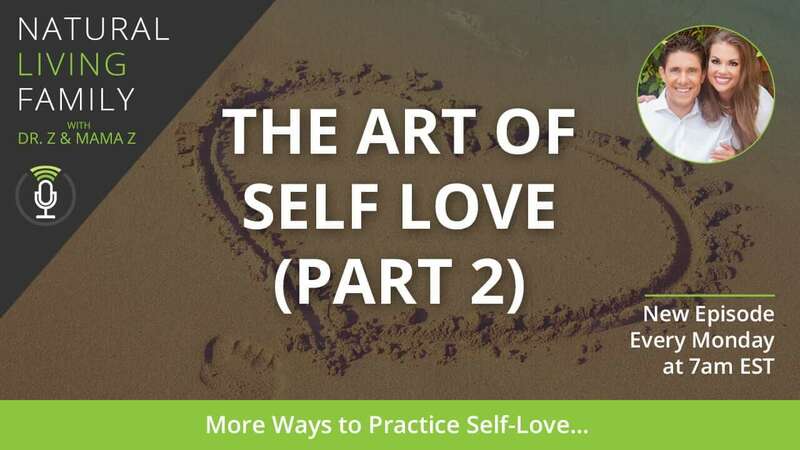 We are going to discuss why following the adage, “All things in moderation” will get you in trouble as you strive to live a natural, abundant life. You will not want to miss it. And as a reminder, you can find all the Natural Living Family Podcast episodes, show notes, transcripts on NaturalLivingFamilyPodcast.com. 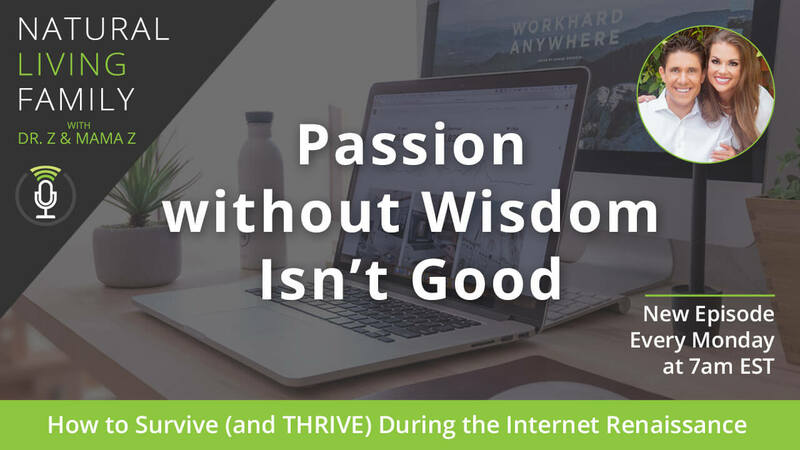 And while on our website, don’t forget to sign up for our weekly podcast newsletter, which includes a personal invite to join our private Facebook group so you can connect one-on-one with us in so you can meet thousands of other natural living lovers just like you. Mama Z: And Mama Z!